These business cases require the use of spreadsheet and database software and the Internet to solve managerial problems and serve as a student supplement for use with any McGraw-Hill/Irwin Management Information Systems title. 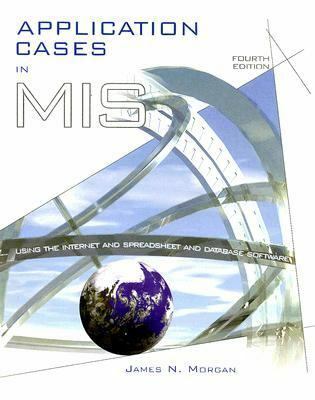 Please visit http: //www.mhhe.com/morgan for more information.Morgan, James N. is the author of 'Application Cases in Mis Using the Internet and Spreadsheet and Database Software', published 2001 under ISBN 9780072512588 and ISBN 007251258X. Loading marketplace prices 3 copies from $21.30 How does the rental process work?